As more behavioral health interventions move from traditional to digital platforms, the application of evidence-based theories and techniques may be doubly advantageous. First, it can expedite digital health intervention development, improving efficacy, and increasing reach. 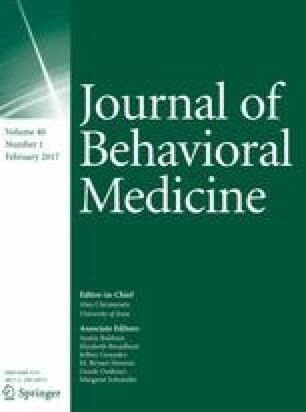 Second, moving behavioral health interventions to digital platforms presents researchers with novel (potentially paradigm shifting) opportunities for advancing theories and techniques. In particular, the potential for technology to revolutionize theory refinement is made possible by leveraging the proliferation of “real-time” objective measurement and “big data” commonly generated and stored by digital platforms. Much more could be done to realize this potential. This paper offers proposals for better leveraging the potential advantages of digital health platforms, and reviews three of the cutting edge methods for doing so: optimization designs, dynamic systems modeling, and social network analysis. The authors thank Rachel Kornfield and Nadyah Mohiuddin for feedback on earlier versions of this manuscript. Arlen C. Moller, Gina Merchant, David E. Conroy, Robert West, Eric Hekler, Kari C. Kugler, and Susan Michie declare that they have no conflict of interest.